We've all had those moments when we get off track from healthy eating or have had one too many bites of something. Here's my simple detox tea that helps ease stomach bloating and gets you back on track to feeling great! I especially love drinking this first thing in the morning to start the day off right. Wash all ingredients. I like to wash all fruits & veggies with an apple cider vinegar and water mixture to rinse away all pesticides and chemicals. Peel a stick of ginger and cut about 10 thin slices. I've found the easiest way to peel the skin off the ginger is with a spoon. (optional) Add in a tea bag for extra taste. 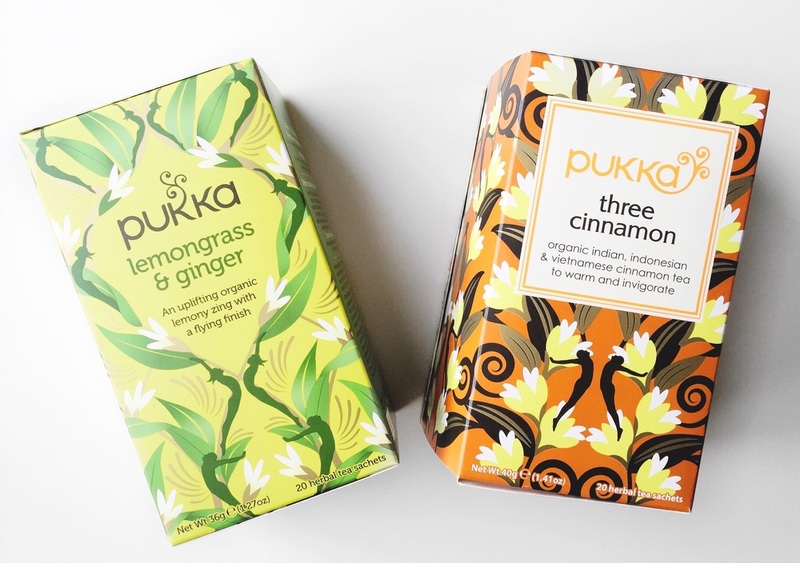 Pukka teas have been a personal favorite of mine since I discovered them a few months ago. Not only is the brand organic and Fairtrade, this is by far the most flavorful tea I've had. Plus it comes along with beautifully designed packaging (which I'm a complete sucker for). 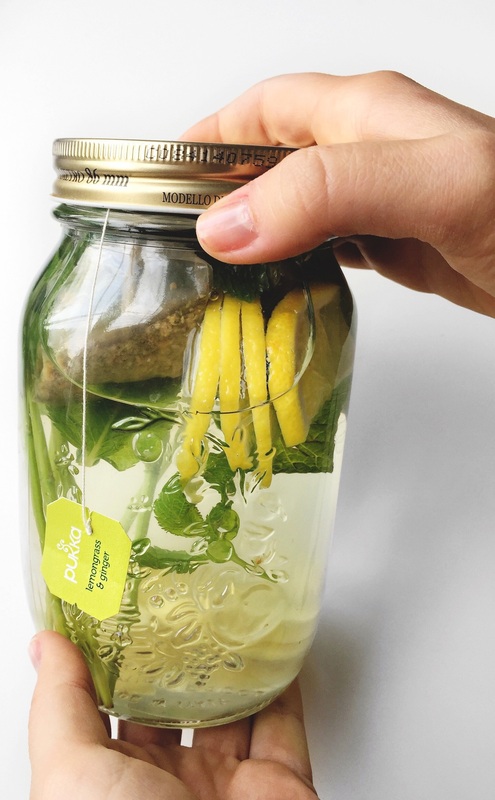 Pour boiling water to fill half of the jar (I love using a 1-liter one to keep drinking from throughout the day) and cover with the lid. Let simmer for at least 5-10 minutes. If you are not using the tea then what I love doing is leaving it overnight so the flavor really comes out of the ginger. When ready, rub the mint leaves in between your palms over the jar to release the aromas. Then place into jar. Add warm water. Squeeze in the juice from 1 lemon. 7. Enjoy! All of these ingredients bring together nutrients to help your body not only cleanse but also relax and increase your overall mood.